LUGANO – An “American perspective” of extreme interest the one offered by Lugano Scena over six appointments (two engagements dedicated to theater and four to dance), one that reached its final performance Sunday night at LAC with Eclectic Stories presented by Tulsa Ballet directed by Marcello Angelini. 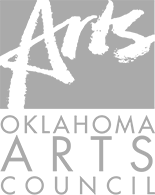 The three works are surely eclectic, as the title of the program suggests, and showcased the versatility of all the artists involved, and the sometimes educational essence of this institution born more than 60 years’ ago in Oklahoma. A successfully eclectic spirit that was already evident in the first work of the program, Shibuya Blues, a very recent dance by choreographer Annabelle Lopez Ochoa on diverse musical scores, among them a famous tune from one of the most celebrated composers of this genre: Rene’ Aubry. After this high class “aperitif”, the show entered its core, offering to the Lugano’s large and attentive audience two works of total contrast. First we witnessed the light and carefree Who Cares? a piece created by George Balanchine in 1970 on music by George Gershwin. A series of short dances (mostly pas de deux and solos) from which transpires the typical American attitude of looking at life in a positive way, lulled by catching melodies that seem out of a Fred Astair and Ginger Rogers’ movie. This work is diametrically opposite from the one that followed, The Green Table by Kurt Jooss (1932), with music by Fritz Cohen played live on pianos by Andew Lahti and Joseph McNamara. This last work occupies a very important place in the twentieth century’s dance history, one hand foreshadowing the advent of Nazis and the inevitability of the war that ensued, while on the other pointing its finger in an accusatory way to political intrigues. Those are the political intrigues that prefer to play with human destiny around a green table, one just like the ones of the Roulette table, instead of looking for solutions that can satisfy the needs of the majority. A discourse with strong political tones, one that has its roots in the aesthetic styles of German expressionism and in the Brecht’s theater form, brining to life well defined characters, with caricatural tones (like the one personified by the character of Death) that become the protagonists of a true narrative, making The Green Table an extremely actual prototipe of the dance-theater that will bloom after the first half of the twentieth century. Tulsa Ballet has proved to be a high-level ballet company, capable of developing an amazing philological work on several fronts. An approach that the LAC public has truly enjoyed . It’s very exciting to see, in our own Teatro Maestranza, a ballet company that stages one of the mythical choreographies in dance history. In this case it was nonetheless than The Green Table, a 1932 work by Kurt Jooss. And it was the American company Tulsa Ballet who premiered it in Spain in the Maestranza theater in a program that also included another choreography that has made history, Who Cares? by George Balanchine. Completing the program was Shibuya Blues by the Belgian-Columbian choreographer Annabelle López Ochoa. The Green Table is much more than a dance piece. It is about how a single man came forward and warned Europe that madness was coming, and that madness would soon invade Europe. Men saluting with an extended arm would later become reality, bringing horror, death and the Holocaust. Hitler came to power in 1933. The Green Table (1932) was a warning call that nobody wanted to hear, despite the strength of the work of Kurt Jooss. Ten men are around a green table dressed in grotesque masks and tuxedo coats. Death appears at the back of the stage and is omnipresent in all scenes. The horrors of war appear, the broken families, the separated couples, the refugees, the survivors among the desolation of war. There are some moments that recall scenes from Les Ballets Russes, but the choreography has the exceptional modernity of a work of art, one that has turned 87 years old. The piece is danced with the live accompaniment of two pianos, which still influences its drama. The company looked impressive in this work. Not only for its impeccable technique, but for the interpretation, fundamental in this choreography. It was really exciting. And, while The Green Table closed the program, the two pieces that preceded it undoubtedly showed the enormous versatility of this company and above all the impeccable technique in pirouettes, batteries, fouettés, jumps, turns, port de bras …, it was a delight to see them dance. In 1937 Gershwin asked the choreographer Balanchine to go to Hollywood to work with him. Tragically, Gershwin passed away due to a brain tumor before he could complete the ballet music for the movie. In 1970 Balanchine choreographed Who Cares? on 16 songs of Gershwin composed between 1924 and 1931. This choreography, by the way, was staged by the Compania Nacional de Dansa in 2013. There are songs that we all know, we heard them in movies and Broadway musicals. The Tulsa Ballet dancers feel comfortable in this very American music, at times it seemed as we were watching Gene Kelly and Cyd Charisse on stage. Their dancing is joyous, and you can feel it. The choreography of Balanchine takes us in the streets and through the lights of New York. It’s a dynamic piece and a pleasure for the viewer. And no less important is the choreography of the Belgian-Colombian, Annabelle López Ochoa, Shibuya Blues. 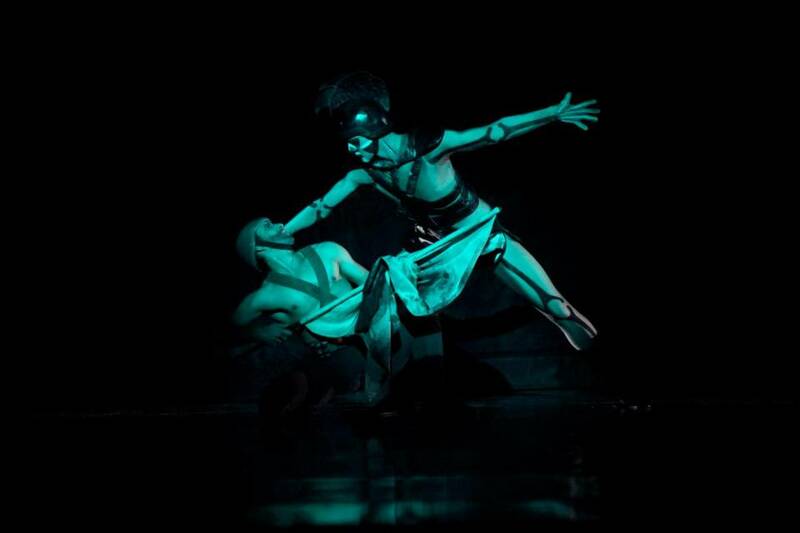 The choreographer, one of the most awarded on the European dance scene, has created a piece with the fast-paced music of Banabila, Mens, Manuel Wandji and René Aubry. With the whole company on stage, the choreographer moves the entire cast in a spectacular way, in group sections, duets and trios, all danced with an enormous vitality. The Tulsa Ballet is a Tier One North American ballet company. On this European tour they will visit Spain (only Seville), Italy and Switzerland. This is an exceptional company, one that stays away from the stereotypes of the star system and one where the entire ensemble is the star, although some soloists do stand out, and one where Italian Marcello Angelini, the artistic director since 1995, takes pride in the virtuosity of its troupe. Great night of dance in the theater of La Maestranza, the only pity being that this was a one show only engagement given the audience response and the full house. When the program is this good, this is what happens. Founded in Tulsa, Oklahoma in 1956 by partners Roman Jasinski, Polish, and Moscelyn Larkin, North American, Tulsa Ballet became a professional ballet company in 1978. With the arrival of Italian Marcello Angelini in 1995 as artistic director, the company grew to earn a spot among the tier one international ballet companies. The company that performed last night at the Maestranza, unfortunately for just one night, is a company made up of 30 dancers from 14 countries, dancers who are absolutely extraordinary for their technique and versatility. Their soaring interpretative level was one of the pleasant surprises of the night, in a performance that saw the company present three pieces performed in reverse order from their creation. The first, and the most current one, Shibuya Blues, is the work of the Belgian-Colombian choreographer Annabelle López Ochoa. It was a beautiful piece of choreography that allowed us to see how the language and variations of classical dance can be reworked to produce a one-hundred percent contemporary look. Very beautiful aesthetically, the piece offered to all its interpreters the possibility of showing their technical skills – their turns, their jumps, their fouettés- with a fresh and almost casual energy that captivated the audience. The rest of the program was a lesson in the history of dance and a real joy to watch. The second choreography was Who Cares? by George Balanchine. A late work (1970) that has little to do with the pieces that made him famous in Europe, such as the mythical Apollon Musagete of 1928, and much with that bustling life he found in the U.S. where he did, among other things, several musicals and founded the New York City Ballet. Who Cares? is a showcase of steps and sequences of classical ballet (with the girls on pointe, as in the first piece), that the so-called creator of neoclassical dance strips of its aura (and any possible history) to deliver, through them, the sensuality of the Gershwin songs. A group of cheerful duos and solos moved us beyond Broadway and the world of music. But the best part of the evening was the opportunity to see on stage, with two fantastic pianos playing Fritz A. Cohen’s music, The Green Table. It is an emblematic and award-winning 1932 piece choreographed by the German Kurt Jooss (1901-1979), which has been performed by companies around the world – the Joffrey Ballet had it eleven years in a row in their repertoire – but never, let’s remember, had performed in this city. The choreography, extraordinary indeed if one thinks that it predates the appearance of modern dance by half a century, was born as a plea against the horrors of war, which explodes, in spite or perhaps due to the cynicism of the politicians who argue around a table, unable to avoid it. An example of German dance expressionism, the work begins and ends with the politicians in two scenes, almost grotesque in their gestures and characterization, with eight scenes between those two, which depict military movement of soldiers, the tenderness of mothers, the party in a fantastic public dance, while execution and death are omnipresent elements, as in medieval dances. It is difficult to know what is left of the original movements, but Tulsa Ballet’s work was truly exceptional. 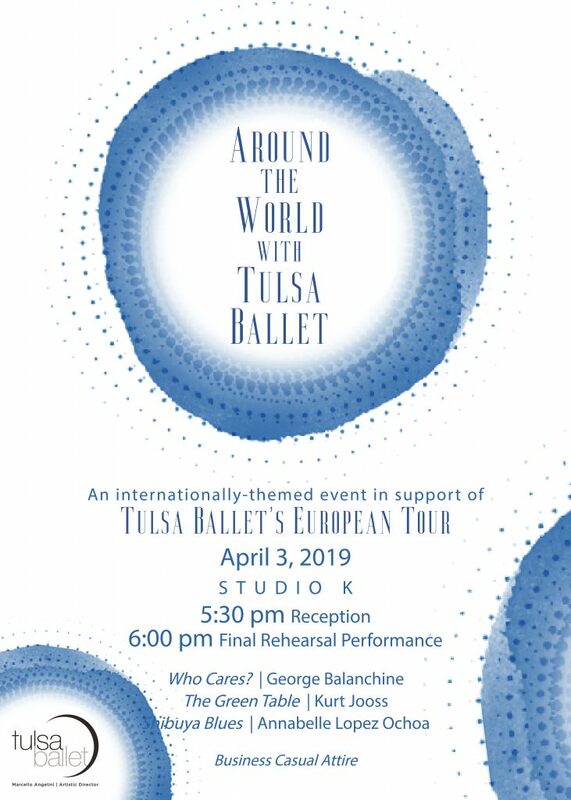 Tulsa Ballet is thrilled to be returning to the international stage in April 2019. The company will give six performances (additional dates may be added) throughout Italy, Spain, and Switzerland. Created in 1932, this work is “the most powerful antiwar statement ever devised for dance” (The New York Times). This work continues to remain provocative and socially relevant today. Performed in eight scenes, the ballet depicts the horror and futility of war, orchestrated by masked diplomats who talk of peace but actually have little interest in negotiating. Described as Balanchine’s “homage to one of New York’s happiest voices, George Gershwin” (The New York Times), this joyful work remains as refreshing today as when it debuted in 1970. With the Gershwin brothers’ most popular Broadway standards fueling the rhythm, and Balanchine’s iconic style driving the dancing, this is one of the iconic works of the 20th century. Lopez Ochoa’s work, Shibuya Blues, takes its inspiration from her experiences in new places and the loneliness one can feel when trying to assimilate to a new culture. Using precise movements and a large cast, she creates a metropolis that feels like a complicated, well-oiled machine, but still manages to find moments of tender humanity. Critics from the Tulsa World praised her work for being “A twisty, demanding choreography that is grounded in sharp, solid classical technique… mixing steely pointe work and expressive acting.” This work was created for Tulsa Ballet in 2017. 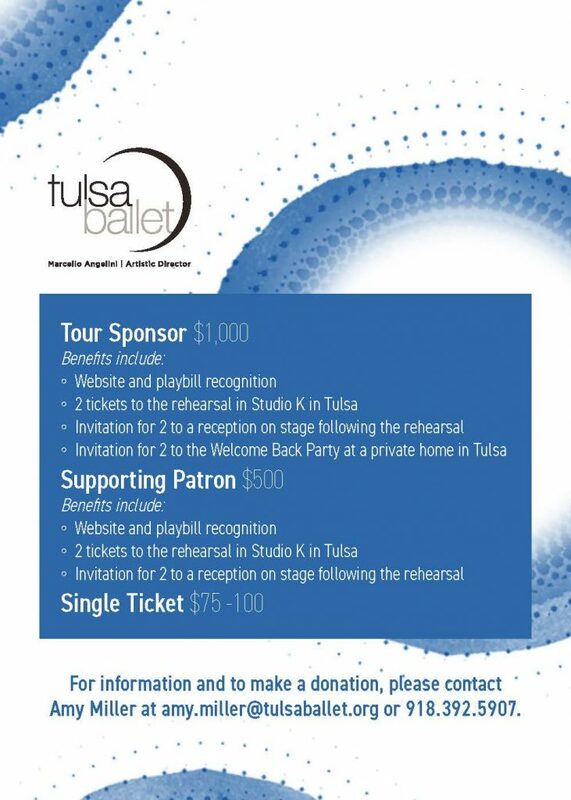 Performance tours are made possible in part by support from Tulsa Ballet’s family of donors. To purchase tickets to this one-night-only event, click here. To learn more, contact Amy Miller, Director of Development, at amy.miller@tulsaballet.org or 918-392-5907. Our Creations in Studio K program is known for commissioning incredible new works from the most in-demand choreographers in the world. This year’s lineup includes the inimitable Ma Cong, and impressive newcomer Garrett Smith. As Resident Choreographer, Mr. Cong creates works that become instant favorites here in Tulsa, on Broadway, and around the globe. Mr. Smith, already a decorated choreographer, is recognized for the “eclectic vocabulary” of his contemporary works (Dance Spirit Magazine), and has created works for Houston Ballet, Mariinsky Ballet, and others. A third work, yet to be announced, will close out this exciting triple-bill evening of contemporary ballet. 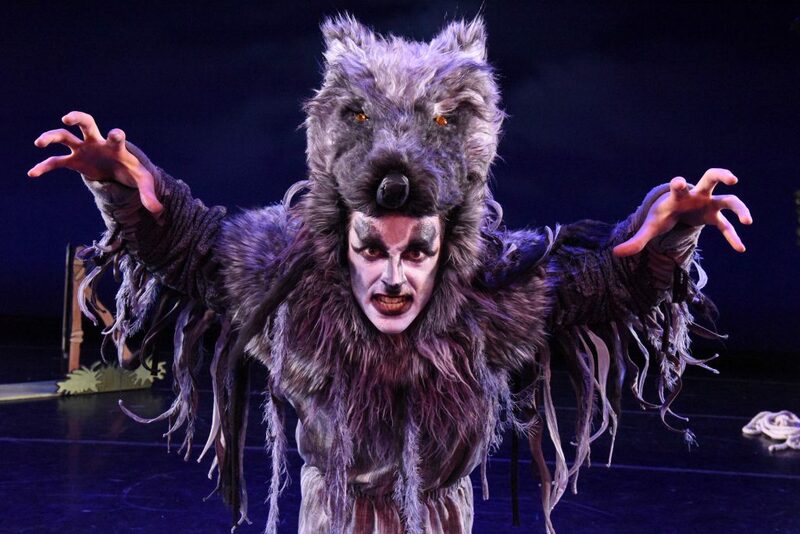 Our Children’s Series matinee performances of Ma Cong’s Peter & the Wolf are perfect for ballet’s youngest fans. 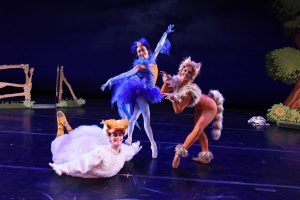 This theatrical ballet experience is created especially for children and young families, and features a cast of characters children know and love, with narration to help them understand the story. This magical performance will come to life on-stage thanks to all-new sets, costumes, and choreography, designed just for Tulsa Ballet. Our Friday performance times make for great field trips for school and youth groups. Reserve your space now for your group of 10 or more! Click HERE to order group tickets. Set in 1920’s Paris, the birthplace of classical ballet, Marcello Angelini’s vision of The Nutcracker has been a Tulsa favorite since 2003. Whether you’ve seen it once or one hundred times, this magical holiday spectacular is guaranteed to capture your imagination. This production is soon to be retired, see it now before it’s gone forever! The Land of Oz is in danger, and only Dorothy can help restore peace to this magical world. With help from her friend Scarecrow, she braves a dangerous journey to save the Prince and reunite the kingdom, finding love along the way. Edwaard Liang’s ballet is “visually stunning” (Tulsa World), featuring vibrant costumes, epic battle scenes, and animated puppets from visionary Basil Twist.